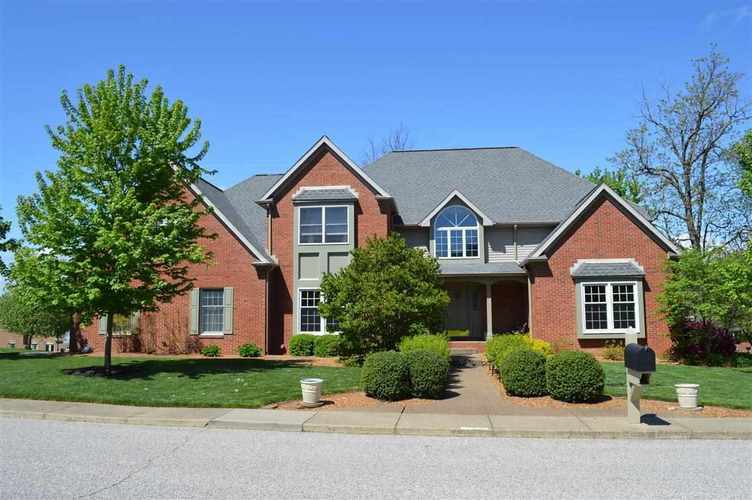 Many outstanding features and updates in this spacious 4 Bedroom/3.5 Bath two story with walk out lower level, built by McGillem. This home offers a complete floor plan that includes a two story entry, formal Living Room and Dining Room, Sunroom, Office with built-ins, open Kitchen and Family Room, Powder Bath, plus a main level full Bath. Convenient double staircases to the second level where the Bedrooms are large and have walk-in closets. The Family Room has built in shelves and a gas ventless fireplace insert. Granite counters have been added to the Kitchen and Baths, and the eat-in Kitchen features a dishwasher, refrigerator, and wall oven that were updated in 2012. Enjoy a Master Suite with cathedral ceiling, dual vanities, and separate tub and shower. Zoned HVAC new in 2013; water heater new in 2012. Whole house water filtration system, and whole house generator. New roof, gutters, downspouts, and gutter guards in 2013. Tons of space and lots of storage. Professionally landscaped, invisible pet fence, and complete with a lawn sprinkler system. Large deck, and large tree filled lot for enjoying the outdoors. Be sure to check out the full list of updates! 2-10 Home Warranty in place.